New York Group [Нью-Йоркська Група; Niu-Iorkska hrupa]. A group of poets and artists, which developed spontaneously in the mid-1950s from informal friendships and discussions around the Students’ke slovo (Student Word) supplement to the newspaper Svoboda (US). The initiating core consisted of Bohdan Boychuk and George Tarnawsky. In 1954 the group grew to include, for some time, several Ukrainian artists, such as Bohdan Pevny, Yaroslava Gerulak, and Jurij Solovij. It organized art exhibitions and poetry readings. 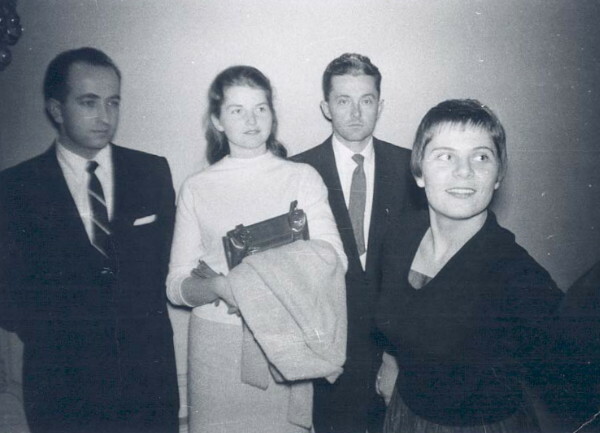 Five other poets joined Boychuk and Tarnawsky in the late 1950s to form the core of the initial New York Group: Bohdan Rubchak and Zhenia Vasylkivska in 1955, Emma Andiievska and Patritsiia Kylyna (Patricia Warren) in 1957, and Vira Vovk in 1959. 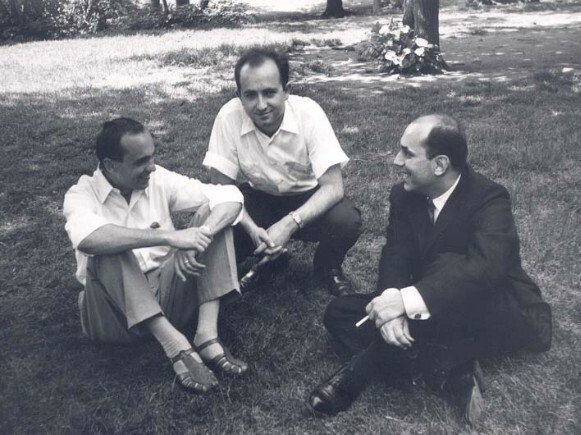 The name New York Group, chosen because its most active members lived in the New York area, was applied to the group from 1958, when they decided to start a serial publication, Novi poeziï. The name was also used for a publishing house, which published many of the collections of the individual members. 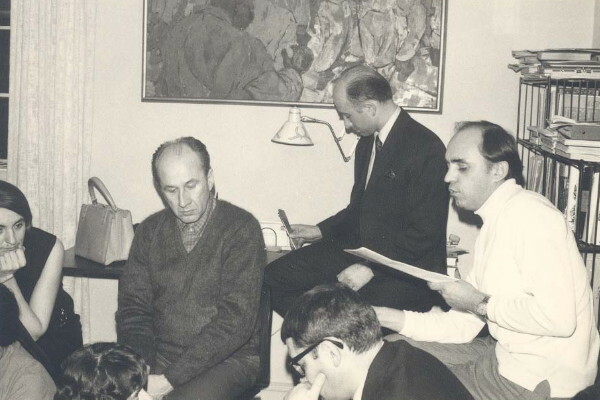 In 1965 three other poets, Yurii Kolomyiets, Oleh Koverko, and Marco Carynnyk, published their poems in Novi poeziï and became associated with the group. In 1969 the group grew to include Roman Babowal from Belgium. In 1971 the serial publication Novii poeziï folded and, for over a decade, the group did not exist as an organized collective, while most of its members remained creatively active. 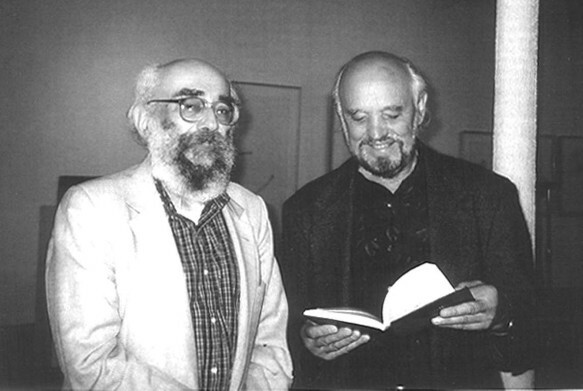 The group was revitalized in 1984–85 when Boychuk rejoined the editorial board of the journal Sučasnist’ and the poet Maria Rewakowicz joined the group. In 1990 Boychuk and Rewakowicz, in cooperation with the Writers’ Union of Ukraine, organized the publication of a literary journal Svito-vyd in Kyiv. The last issue of the journal Svito-vyd appeared in 1999 and, with this, the New York Group ceased to exist, in spite of the fact that several of the former group members remain active individually. The New York Group was never united by any artistic credo or manifesto. More a grouping of friends than an organization, it embraced Ukrainians who began their period of creativity in North America, who happened to be living (in most cases, only temporarily) in New York. In form their poetry ranged from the surrealism of Emma Andiievska and the depoeticized verse of George Tarnawsky to the more traditional quatrains of Bohdan Boychuk, Bohdan Rubchak, and Vira Vovk although most of the members of the initial group had experienced similar influences (Jean-Paul Sartre, Federico Garcia Lorca, Albert Camus, Franz Kafka, Pablo Neruda), had a common émigré heritage, which at times encouraged in them a preoccupation with the purity of the Ukrainian language, and were united in a desire to distance themselves from the overly nationalistic poetry of the previous generation. Their creativity provided a much-needed revitalization of émigré Ukrainian literature after the Second World War and probably served also as an impetus for the shistdesiatnyky poets in Ukraine and, more notably, for the next generation of poets, including the so-called Kyiv School. The anthologies dedicated specifically to the New York Group include Poety ‘Niu-Iorks'koï hrupy’ (Poets of the New York Group; 1995, 2nd ed. 2003; compiled by Oleksandr Astafiev and Anatolii Dnistrovy), Pivstolittia napivtyshi: Antolohiia poezii Niu-Iorks'koï hrupy (Half-Century of Half-Silence; 2005; compiled by Maria Rewakowicz), and Niu-Iorks’ka hrupa (New York Group; 2012; compiled by Maria Rewakowicz and Vasyl Gabor).